I've posted about Mozilla Prism before in this tutorial, but I wanted to come back and take a closer look at it. 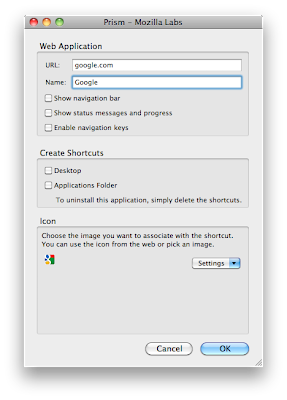 You'll also notice that you can create shortcuts on the Desktop and in the Applications folder. Just select where you want the shortcut to go. 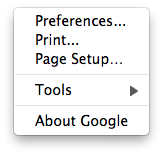 You'll notice that there are three other checkboxes in the window that we haven't discussed yet. 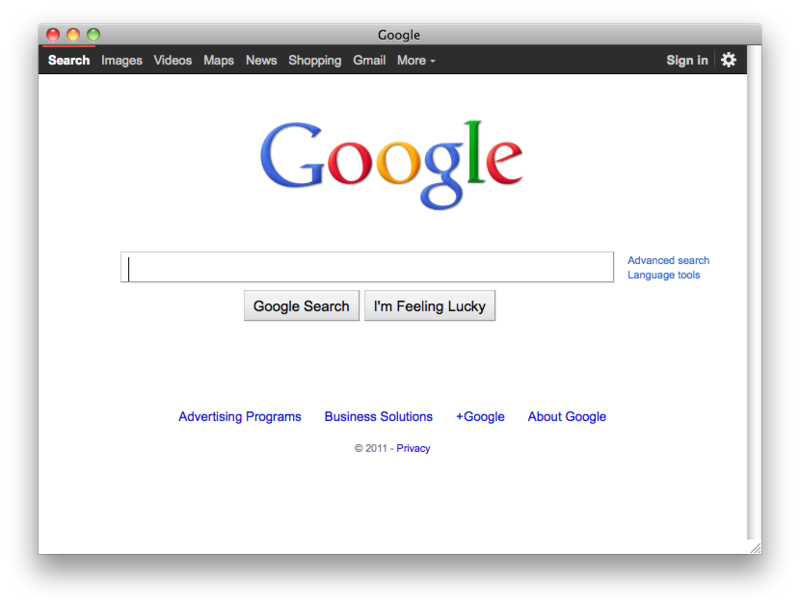 Before we discuss those, let's take a look at what the application looks like right now. Pretty simple, but no back/forward buttons, etc. Let's take a look at those checkboxes now. If we check the first checkbox: "Show navigation bar", you'll notice that we now have back/forward buttons, a home button, and a reload button. The last checkbox is pretty simple: "Enable navigation keys". 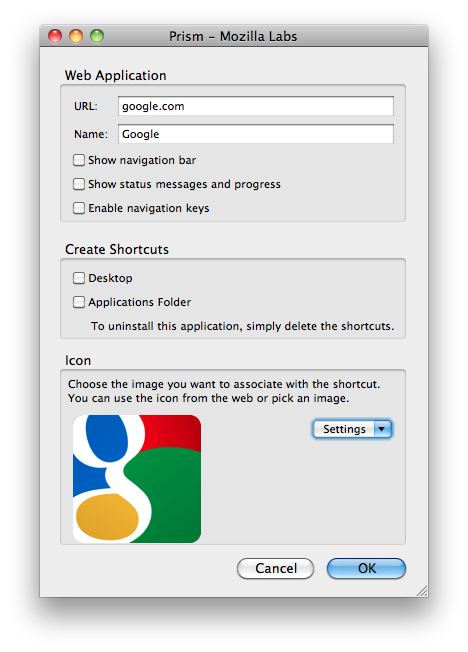 This enables you to use shortcuts within the web page. That's all! 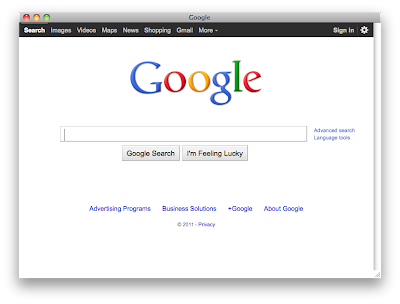 Prism is a simple and easy way to bring web pages and web applications right to the comfort of your desktop. 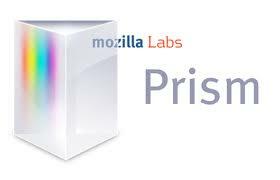 You can download Prism from the Mozilla Prism website. More information can be found at the Prism wiki. Please comment and let me know how you liked this guide.